The 2018 release date delay is to allow time to develop an enriched game, enabled by the new partnership with Deep Silver. The game starts the day after the final scene of Shenmue II. A visual "digest" (either images or a movie) will be used to introduce the backstory of the game. Flashback scenes are also planned, such as when Ryo makes international phone-calls to friends. In Choubu, there will be games or jobs involving tortoises/turtles, ducks and frogs. Money-earning methods include lure fishing and wood-chopping. Forklifts will also appear in some form. There will be a new skill-tree based battle system & a revamped QTE system. 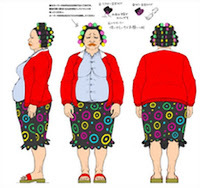 The plump female character with hair curlers (seen in a previous backer update) is a hotel owner. There is no plan to participate in this year's TGS (Tokyo Games Show). The form and timing for the backer-only trial game is still being planned. Deep Silver's partnership has increased stability of the budget, and the number of developers has also increased slightly. Yu finds the personnel management aspect to be quite a challenge. 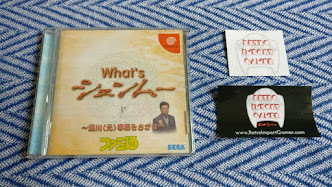 With respect to Shenmue I & II remakes: "If everyone tells SEGA, something might happen." Most of the characters shown in the teaser trailer were provisional. They realize now that it may have been a bit premature to have shown them, but they felt pressure to show some progress. There will be further opportunities to show the game going forward. Yu showed a private extended 2.5 minute version of the teaser. Character facial expressions were removed from the teaser about a month earlier. The partnership with Deep Silver has strengthened the budget and provided promotional support. 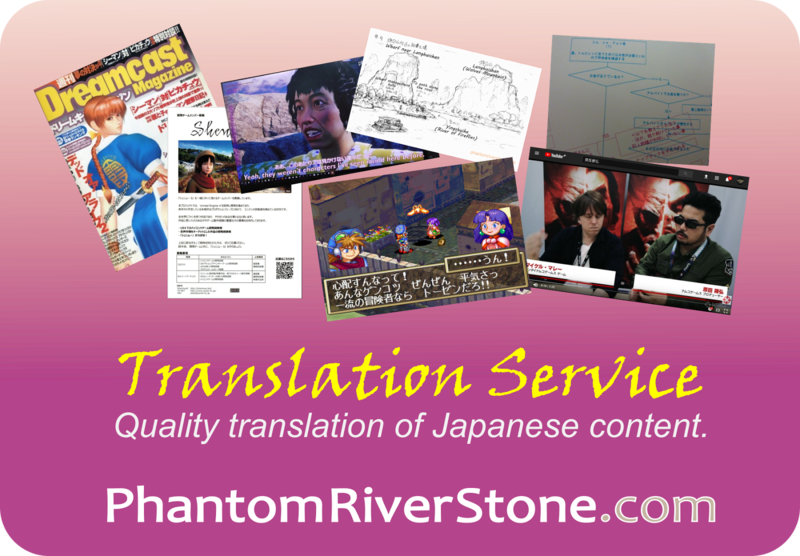 Now working on the extended content that the additional funds have allowed. 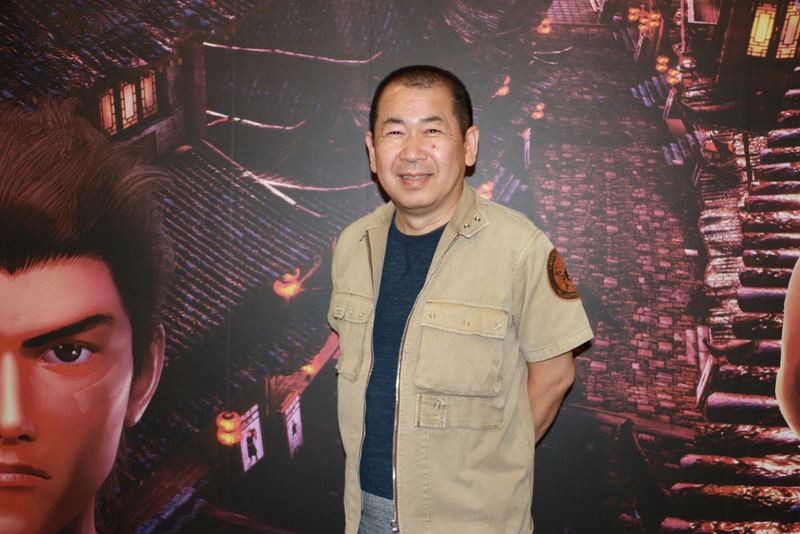 Yu hopes to go on to make Shenmue IV; forcing a completion in Shenmue III would ruin the fun of the game. Play time will be 30+ hours. The fighting engine is being remade from scratch. 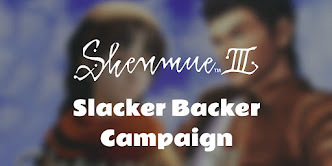 Shenmue is a thinking-style game, so Yu wants to allow even people who aren't skilled at fighting games to make progress, without demanding precisely-timed commands. 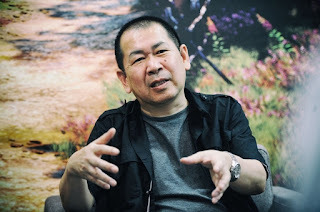 Yu's creative "stamp" is his portrayal of small details and this is something that will also be a hallmark of Shenmue III. There will be a system for phoning characters that appeared in Shenmue I and II, which triggers flashback movies. Some kind of DLC (downloadable content) is planned. 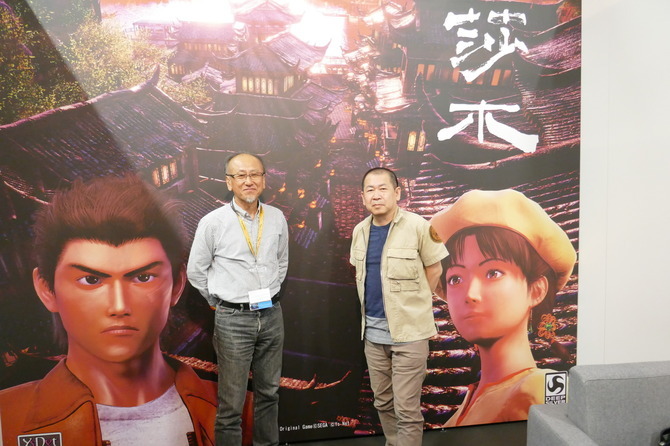 Yu would like to bring back the original voice actors for Shenmue III, to the extent they are available. The existing (unpublished) song library from Shenmue I and II's development may be sufficient, without recording new tracks. Environment creation is around 70% complete. Thanks to the Deep Silver partnership, Choubu has tripled in volume compared to the originally-planned scope. Minigames will be more tightly interconnected and integrated into Shenmue's world, and tie in better to the game's progression. The skill tree for fighting moves automatically fills as you learn moves. 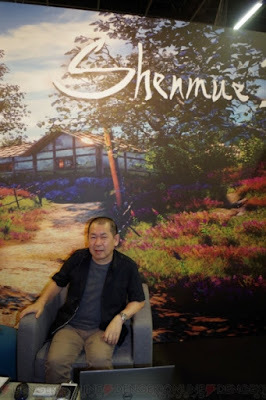 Yu created the new Shenmue III logo himself (both English and kanji versions), wanting to be reflective of the game's creator and personality. You will be able to make a phone call to Shenmue I and II characters such as Goro and Nozomi (who has gone to Canada). The new battle system will include key Bajiquan moves. Yu recounts the day he spent with the Japan reward dinner backers: "It was a really good experience for me". 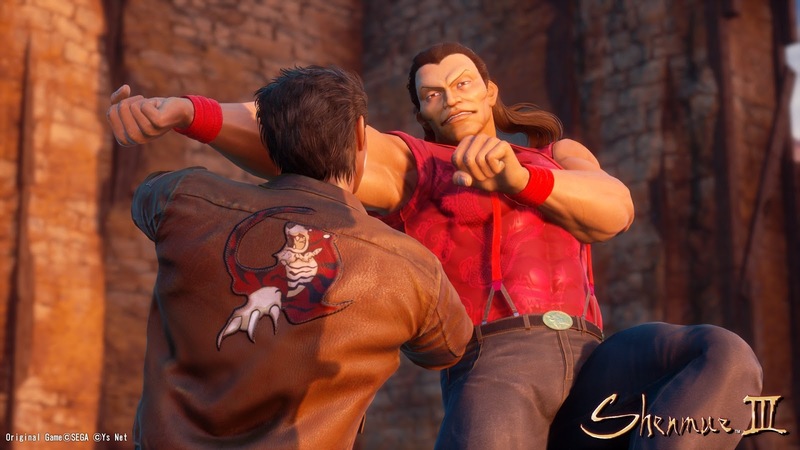 Compared to his old days at SEGA, Yu must now manage contract workers to achieve the best results within a limited budget, which he finds a challenge. The reason the teaser was not shown at E3 is because the Deep Silver contract was not finalized at that time. The Kickstarter budget was not sufficient for an open-world game, so Yu continued to search for an additional partner in order to boost the budget. The release date delay was for a positive reason i.e. to enrich the game thanks to the increased budget. The number of characters (NPCs) in Choubu has been increased from 50~60 to 200. Yu's aim for the graphics is to portray humidity and a sense of smell. While photo-realistic graphics can now be readily achieved, Yu wants graphics with a touch of exaggeration or embellishment to make them interesting. Shenmue II starts 6 hours after the ending of Shenmue II. 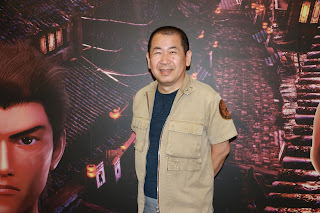 To end this post, we would like to present an awesome new fan-made Shenmue III teaser that has been crafted by Shenmue Forever, which incorporates scenes from the official teaser as well as the latest still images from the game. 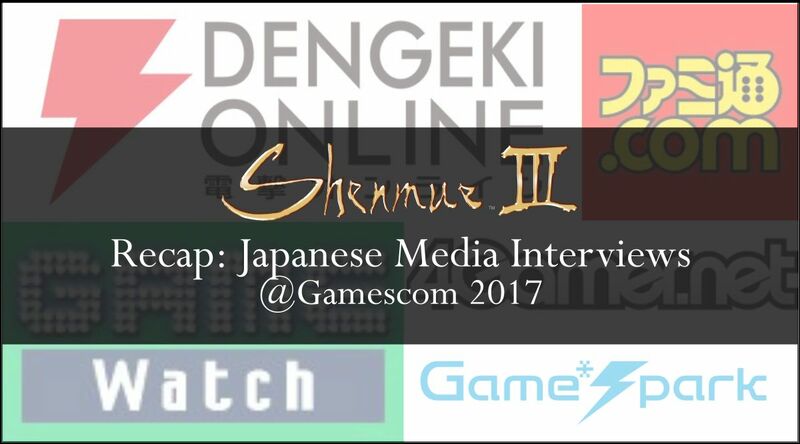 "This teaser was created from a desire to showcase some of the beautiful screenshots published during and after Gamescom, create something that marks (for me) the end of the Gamescom announcements and publications and more genuinely, do something fun related to Shenmue 3 by showing the progress made since the Kickstarter announcement".